Need to find a dependable and reputable commercial cleaning service in Norwest Business Park? Evolve Cleaning are your complete office cleaning providers. With over two decades of experience in the cleaning industry, we are the professionals to call. The Norwest Business Park is a business park filled with offices, retail spaces and commercial spaces in the Hills Shire in North West Sydney. Evolve Cleaning has been proudly offering our professional cleaning office in Norwest Business Park for over 23 years. Our office cleaning services in Norwest is second to none, with great emphasis on customer service and high-quality cleaning. We are committed to providing you with a premium and cost-effective way to consistently uphold a high profile of your office space. We understand that each commercial environment in the Norwest Business Park is dynamic and unique to their own. 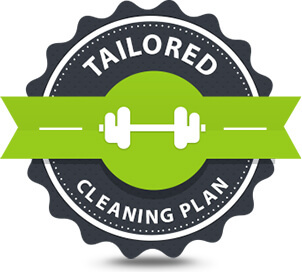 To cater to this, we provide each of our clients with a custom-tailored office cleaning service that specifically satisfies their cleaning criteria. We sit down with our clients and discuss how we can help you step by step. There’s no limit when it comes to our amazing commercial cleaning services. We deal with small and large office spaces of all different sizes. The team from Evolve Cleaning are capable of taking on large floor space offices in Norwest Business Park. We work efficiently and thoroughly to ensure that the surface is wiped clean to leave the space spotless and sparkling. When you choose Evolve Cleaning, you are choosing more than just a cleaning service. We clean, maintain, organise and report anything that is suspicious. We believe that establishing clear and open communication with our clients is the best way to understand their business model and philosophy. It is important for us to establish a healthy relationship with each of our clients as this helps us to understand their business and assist in their growth. With Evolve Cleaning on your side, you never have to worry about the appearance and maintenance of your office again. We operate 24 hours a day to provide you with the greatest flexibility and convenience. Our reliable and honest cleaning team will ensure that your office is always up-to-date, fresh and properly organised. We know the importance of maintaining a clean work area for office workers to boost their productivity. A clean and tidy workplace has been shown to also increase in an employee’s happiness, reduce stress levels, reduce absenteeism and increase alertness. On top of all of this, a hygienic and well-presented work environment shows professionalism to their visiting clients and customers. Why Choose Evolve Cleaning for Your Commercial Cleaning in Norwest Business Park? Get Your Free Norwest Business Park Office Cleaning Quote! The Evolve Cleaning team is more than happy to assist you with all your office and commercial space cleaning needs. We are the experts in maintaining and reporting your commercial workspace. We’ll provide you with a personalised cleaning service that is tailor-made to suit your office needs. Whether you need a daily or weekly office cleaning service in the Norwest Business Park, we are the team you can trust and rely on! With over 23 years of professional cleaning industry experience, there is no reason not to choose Evolve Cleaning!